How Do I Get into College with Bad Grades? As funny as it may sound, when I was growing up nobody ever bothered mentioning to me about the importance of having good grades… I kid you not. Maybe I was just the product of bad counseling or maybe while they were mentioning grades, I just wasn’t listening. But now that I have my own children and now that my oldest is preparing to enter college, I am very glad that they have not inherited my early bad habits. Ever since my kids could understand what we were saying to them, my wife and I have stressed to them that scholarships are the rewards for having good grades (and good test scores). Whoever said that you have to pay the price for good grades had it all wrong. 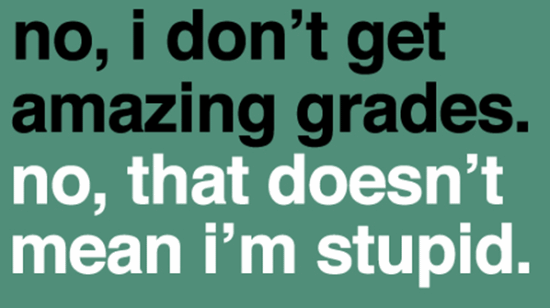 I am thoroughly convinced that you do not pay the price for good grades – You enjoy the price of having good grades. This is especially true during the college application process. You pay the price for having bad grades in high school. The first thing you need to do is face some real truths… Why did you get bad grades in high school? Was it because you spent too much of your time goofing off? Or, did you just struggle to do the work? Goofing off, that was my problem when I was in high school. On days when I wanted to get it done, I did. But on the days when I just didn’t feel like giving it my all I didn’t. As a result, my 4 years of high school were a lesson in under achievement, full of C’s, D’s and some F’s. I learned the hard way that a 1.8 GPA won’t get you accepted in many schools. Let’s face it, if neither English nor math nor science were subjects you liked and if high school was a struggle for you and it wasn’t because you didn’t apply yourself, then just maybe college is not for you. However, fear not, to borrow a phrase from an old friend of mine “That don’t make you a bad man” (English wasn’t his best subject) you do have some alternatives. So you didn’t hit the books as well as you should have. Fear not, all is not lost. There are still plenty of options available to you. First and foremost, you may have to pass on some colleges with tighter admission requirements if you still want to attend a 4-year college or university. You may want to consider enrolling at a local 2-year community college where you can begin to discipline yourself to study and perform at a level that a college student should be performing at. This will allow you time to really find out if college is for you and will allow you to do it at a much cheaper price. If after spending time at a 2-year college you are able to get your study and work habits on track, then you can transfer to a 4-year college or university to continue your education. Far too many high-schoolers allow their parents or peer pressure from friends to pushed them into enrolling into college, when they simply did not have it in them. What usually happens to these kids is that they wind up doing poorly and flunking out or just dropping out after a few semesters. But Don’t I Need a 4 Year College Education? Is a 4 year degree absolutely necessary? Not really, the fact of the matter is that there are millions of people who are enjoying successful lives and earning good salaries who do not have a 4 year degree. The key to obtaining gainful employment is not a degree, but having skills that are in demand. Be Encouraged, don’t Quit Trying! Under no circumstances should you give up. Continue to work to find out what you are good at. Everybody is an expert at something. With a little extra effort you can do it. Good Luck! Is College Worth My Time? College is Not for Me! This article was not even a little helpful. Next time how about giving us some information that will help instead of just publishing something that we know, clearly we do or we would not be stressing enough to be looking up if it’s possible to get in to college with bad grades. I too have a 1.8 GPA but I got a 33 on my ACTs and gosh darnit I want to know if that will help make up for my bad grades in high school. BTW, sorry that you did not find the article helpful… Many have. Good luck in your search for a college.